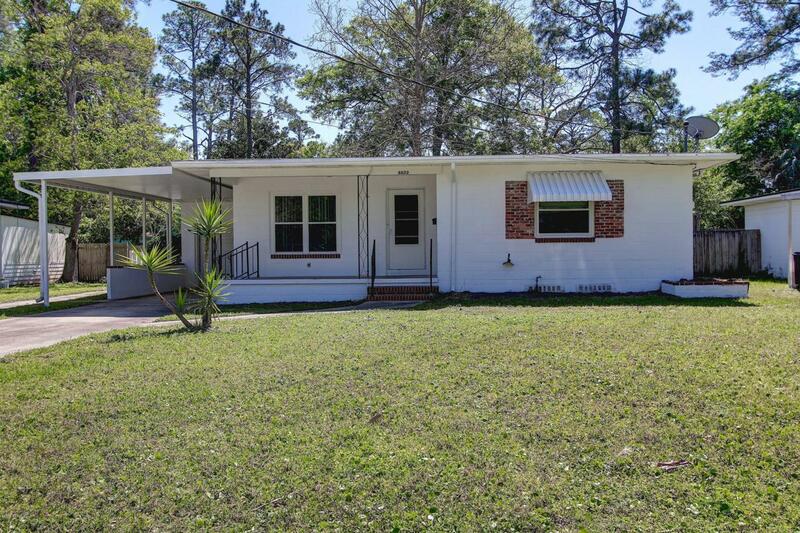 Well maintained, concrete block bungalow with carport AND garage! Fresh, neutral paint inside and out. Awaiting your personal touch! 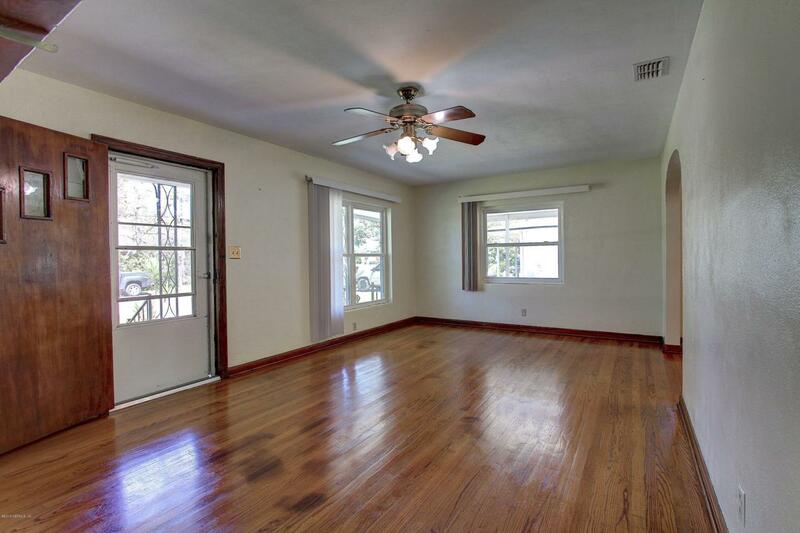 Original hardwood floors, including under the carpet in bedrooms. The beautiful wood trim and doors throughout the house have remained unpainted! 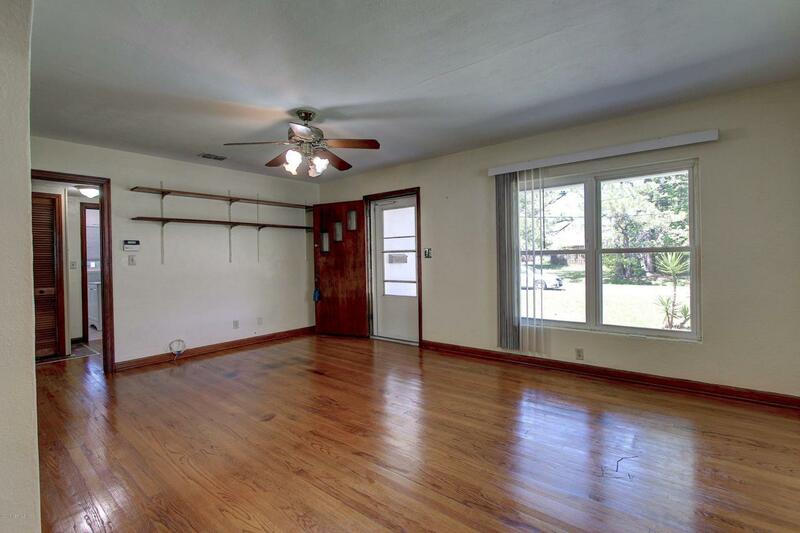 Including the pocket door between the kitchen and separate dining room. The kitchen features a pantry with double doors, and GE appliances. Refrigerator is brand new! 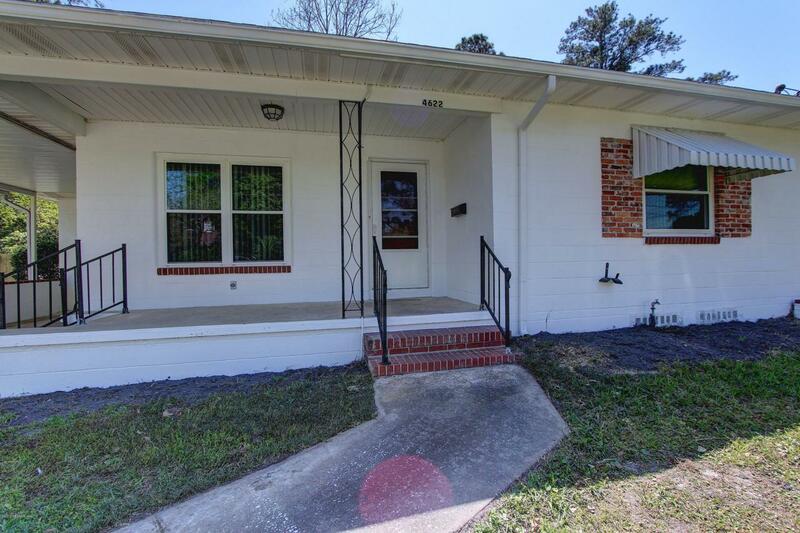 Enjoy the screened patio over looking the fully fenced backyard! Convenient to NAS Jax.